Today I decided to show u all a new piece of artwork - or should I better say: a new Billy the Bat drawing. 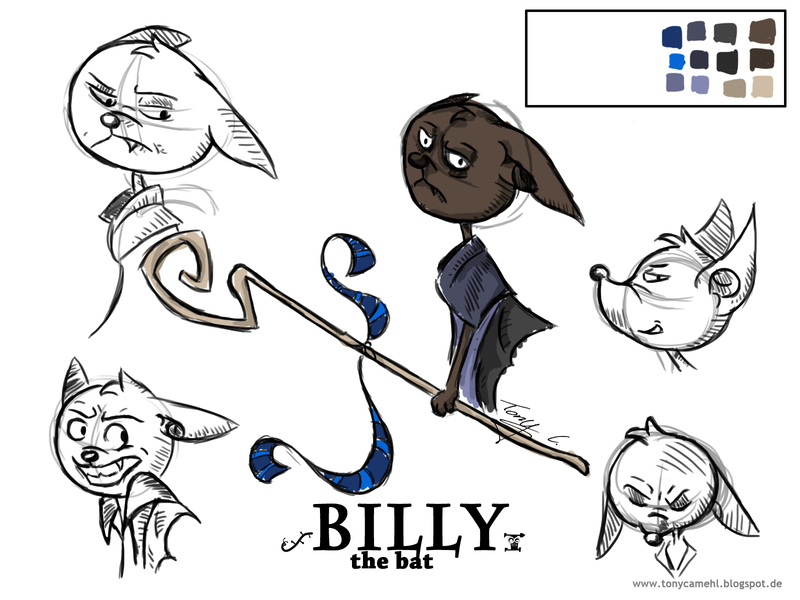 Some quick sketches about Billy the Bat's face. More expressions and a 'bust' drawing.